One of my heroes, Eve Ensler, attributes part of her recovery from cancer to the tree she could see from her hospital bed. A close friend of mine believes his healing from heroin addiction was largely due to the forest he visited every week for four years. Studies have shown that hospital patients who can see trees and greenery through the hospital window leave hospital up to a day earlier and have fewer negative nurse notes. What is it about Nature that is so healing? When I was in my late 20s I completely burnt out and began a journey with chronic digestive illness. In hindsight, I think a huge part of this burn-out was because I was unplugged from the natural world. My burn out came after six months of working every hour of the day running a yoga centre. I was teaching, marketing, cleaning, planning, accounting, emailing, managing and over-doing without any rest and digest time in nature. One day my body simply collapsed – I was running on empty. After a week of being flat on my back, I took myself to a retreat centre. For a week all I did was I watch water rippling on the lake, listen to birds and feel the warm breeze on my face. I began to unravel the past few months, and realized I needed to radically change my life. What I didn’t realize was that I was about to embark on a five year initiation through chronic illness and that Nature would become my healer, guide and best friend on that journey. Fast forward a year and I found myself riddled with chronic digestive symptoms that left me in a constant state of pain, frustration and fatigue. I was allergic to almost every kind of food, suffered from joint pain and brain fog and had hardly any energy. As anyone with a chronic illness will know, unravelling the myriad of physical, emotional, mental and spiritual factors that lead to the onset of illness can be a long-term project akin to untangling seventeen large balls of world amidst a herd of unruly kittens. For me it seems to be a funky mix of chronic stress from over-working, an appentectomy followed by a month of anti-biotics, parasites, spiritual crisis, trauma from my past and a shed load of people-pleasing habits that meant I had no idea about self-care. The keys to my recovery have been equally varied and holistic; supportive women circles, a brilliant naturopath, anti-inflammatory diets, therapy, meditation, yoga. However, my biggest healer has been Nature. 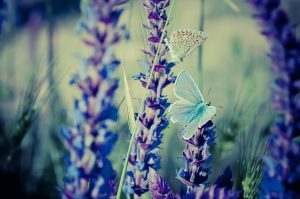 One of the first ways I reignited my love affair with nature was to reconnect to the seasons. I rediscovered the spiritual, indigenous path of my home land; the Celtic seasonal calendar and began to honour the eight seasonal festivals; the Solstices, the Equinoxes and the four mid-season festivals. ~Watching the blossoms burst forth in complete balance in Spring inspired me to create self care routine that supported my body to naturally heal. ~ Summer’s beauty and abundance to nudged me to create and consistently re-visit a vision of vibrant health that I grew steadily towards. ~ The letting go of the leaves in Autumn taught me about surrendering into acceptance of my symptoms, at the same time as bit-by-bit releasing the behaviors and beliefs that were holding me back in my healing. ~ Following the gentle call of Winter to turn inwards and renew myself – rather than going to endless holiday parties! – showed me the rich healing that can only come from deep rest. Many years earlier I had started tracking my menstrual cycle for health reasons. I watched how I felt more energized when I ovulated and felt more anxious and frustrated in my pre-menstrual phase, but I didn’t connect this to my chronic health condition. Then my friend Clare showed me The Woman’s Quest by Alexander Pope and my life got turned upside down in the most incredible way. Through following Alexandra’s simple, thirteen month programme, I learnt how intricately my energy levels, physical symptoms and emotional states were married to my menstrual cycle. And by tracking my cycle I was able to adapt my life so that I could ride off the energy of each phase in ways that supported me to heal. It took a long time to learn to listen to my cycle and hear what body needs, but I can see why – we are working against the conditioning of centuries. For hundreds of years the feminine body has been de-valued, even though it is through the female body and the menstrual cycle that all life arrives! It helped me to practice together with a circle of women on a course with the fabulous Jewels Wingfield. We steeped in each other’s wisdom and learnt by osmosis. We realized this ‘woman medicine’ can’t be rushed – it has to trickle through layers, like water slowly moving through layers of rock. 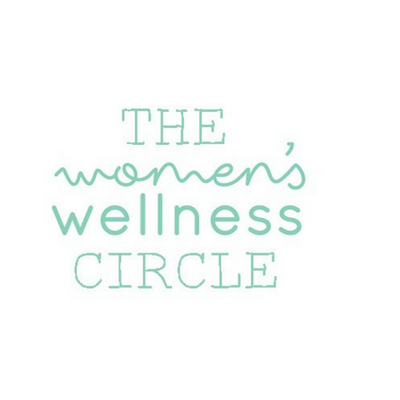 To find out more about how our menstrual cycle can be an amazing self care coach, I heartily invite you to explore Alexandra and Sjanie’s site, Red School and Jewels Wingfield’s work here. Luckily, when my health crisis was at it’s peak, I was also newly-married to a nature lover and living in the beautiful Pacific Northwest of the USA, surrounded by pristine wilderness and gourmet air and water. Every week we took walks in the wilderness and I had countless hours of forest time where I learnt a lot from watching trees. One of the things that I realized is that trees don’t ‘over-blossom’. They take care of their own nourishment. They don’t think ‘I should take less water because that tree looks thirsty’ – they take care of their own needs first. They only make as much fruit as their branches can hold and their roots can feed. Over many months and years – thanks to the trees – I managed to undo a lifetime of people-pleasing and realize it’s ok to take care of myself. And I was stronger and more giving for it and my health improved in leaps and bounds. Nature has been my best friend for a long time now, and I’m constantly amazed that we can harness the healing power of nature’s cycles at anytime we want – their medicine is all around us, always there. Loyal and true. I feel that chronic illness initiates us into a heroine’s journey and on this warrior initiation, I believe Nature can be our truest ally. 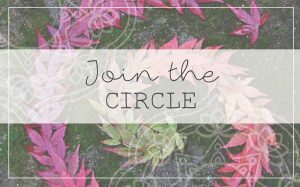 So, I’m thrilled to invite you to our upcoming free online event: Wild Medicine, where we can gather as a circle of sisters to explore how Nature can support deep and lasting healing.